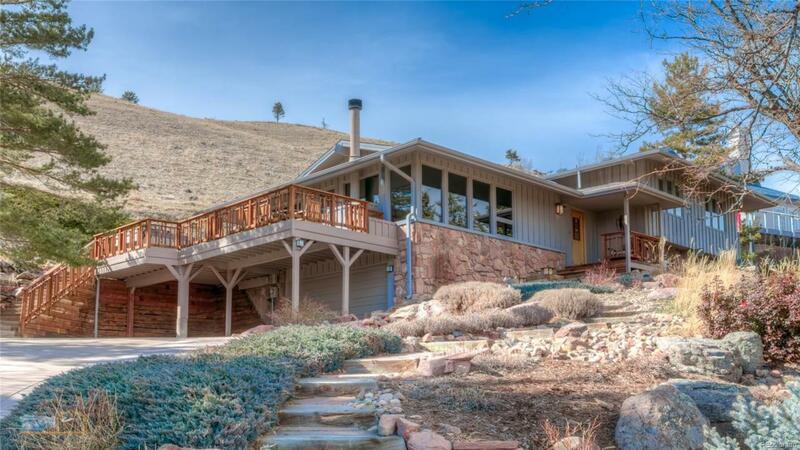 Spectacular 1.5 acre setting in prestigious Spring Valley Estates, with gorgeous views of city, plains, Front Range, and open space that borders the property. A very private cul-de-sac ending in a hiking trail head. X-scape gardens street side and nothing but open space up the hill. A lovely gracious remodeled home w walls of windows to capture the views. Eucalyptus hardwood floors, spacious open fl plan, granite kitchen, 2 view decks, 2 offices, 4 beds, 4 baths. Amazing home and location.